After many requests we have decided to start making these delightful cable leg warmers. More colours to come as we get them made or feel free to check out our 8ply yarn colours and request the colour of your choosing. 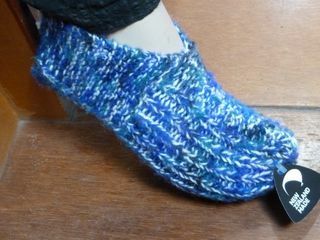 Great comfy hand knitted TV Slippers. Easy to slip into after a hard day. These are the slippers that your Grandmother used to knit. 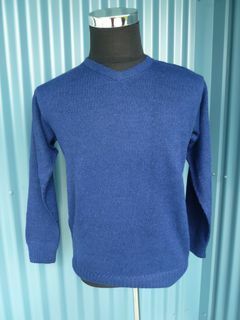 The classic V neck jersey all men love to own. 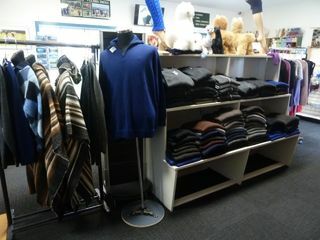 Lovely warm zip collar men's jersey. Very hard wearing yet light weight and warm. 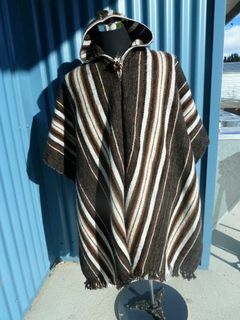 Absolutely gorgeous Peruvian wool ponchos. These poncho's are suitable for both men and woman. One size fits all and they all come with a built in hood.